A new green revolution is underway. This time around, though, it won’t be driven by more effective fertilizers, better farming equipment, and high-yield crop varieties. Instead, smart sensors combined with big data will help farmers meet the demands of a growing and hungrier world. According to the UN Food and Agriculture Organization, we will need to produce 70 percent more food in 2050 than in 2006. Think of it as agriculture 4.0, driven by the Internet of Things (IoT). For example, farmers can monitor soil moisture levels with sensors to more effectively use water. The sensors also provide detailed topography maps and important variables, such as soil acidity and temperature. Smart irrigation technologies can schedule when and how to water crops. IoT systems check animal health in real time and ensure that feed is effectively distributed. IoT technology also monitors agricultural machinery, to make sure it's working at peak efficiency. More is on the way—and it needs to be. OnFarm, an agricultural technology company, says the average farm is expected to generate an average of 4.1 million data points per day in 2050, up from 190,000 in 2014. Moreover, IoT device use in agriculture is projected to grow at a compound annual growth rate of 20 percent from 2015 to 2020, according to BI Intelligence. We asked experts to project how IoT will be used to transform agriculture. Here’s what they said. Use of IoT in agricultural today is similar to that in industrial settings. That’s because farms can be thought of as large outdoor biological manufacturing plants. On farms, sensors gather vast amounts of data about crops, the weather, and soil, such as soil moisture levels, the precise amount of water every plant receives, humidity, soil salinity levels, fertilizers applied, plant growth, and much more. This is like gathering all the vital statistics in a manufacturing plant. As with other kinds of business and manufacturing data, raw information from on-the-ground sensors or hyperspectral imagery isn’t valuable by itself. It becomes useful only once the information is analyzed and then used in decision-making, such as whether to add more fertilizer, reduce or add the amount of water, determine likely crop yield, estimate when to harvest, and more. An emerging area in which companies look to use such technologies is in gauging the suitability of land for specific crop production. Assessing the availability of water and nutrients, rooting conditions, and erosion susceptibility are among the factors that need to be taken into account. Major food companies are very aware of how challenges such as extreme weather, climate change, and global trade disputes can adversely affect their supply chains and constantly need to look at alternative sources for production globally, says Keyes. The data that farmers gather from IoT is a form of power or sovereignty. Farmers can increase the value of their agricultural products by attaching data to it. For example, with IoT data, they can prove their crops were sustainably produced, and can charge a higher price for them because of it. One way to process all that data is to have sensors wirelessly send it to the cloud and have the analytics work done there. The results are then sent back to the farmer, or farmers can access results on dashboards via computers or mobile apps. That’s what IoT agricultural startup Arable Labs does. 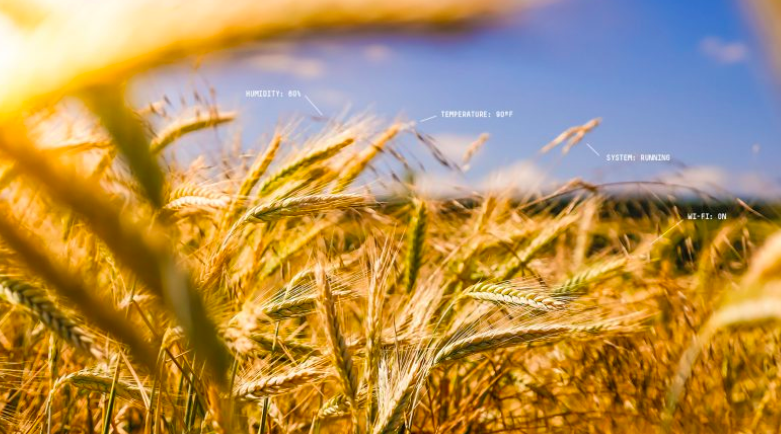 It collects data using a proprietary device that measures weather information, light data, crop growth rate, nutrient content, and water content, among other important agricultural information. The data is sent to the cloud, where Arable processes it and provides farmers a dashboard that gives them a tremendous amount of information about their crops. There’s another way to handle data processing than sending it to the cloud, says Keyes: Handle it locally. In other words, use edge computing, which is becoming increasingly common in enterprise organizations. Keyes believes that in the long run, edge computing servers will become comprehensive control hubs for farms. They’ll do more than just process and analyze local data. They will also directly control agriculture devices such as variable-rate fertilizer or irrigation equipment and check to make sure farm equipment is running and maintained properly. Not only will they help farmers make the right decisions, but also put those decisions into effect. Higher crop yields and less cost are some of the benefits. For example, OnFarm's studies found that for an average farm using IoT, yield rises by 1.75 percent and energy costs drop $7 to $13 per acre, while water use for irrigation falls by 8 percent. In an industry with notoriously low profit margins, that makes a tremendous difference in a farm’s profitability. The image of the independent farmer going it alone to help feed the world is embedded deeply in America’s popular culture. But that’s largely a myth, particularly today. Banks, insurance companies, seed and fertilizer companies, big food corporations, food retailers, and consumers are all part of an intricate web that powers modern agriculture. And Wolf says IoT is vitally important to that web in a surprising way: It helps manage and mitigate risk. “Every stakeholder in the agriculture industry faces risk today, and IoT can help reduce that,” Wolf says. “Companies buying crops need to know whether what they’re buying meets the standards they’ve set. Banks are loaning money to farmers, and so they’re exposed to risk if something goes wrong with crops. Farmers are at risk if they can’t deliver what they’ve promised." Because of the complex financial web related to farming, Keyes says IoT is used not just by independent farmers, but also on what are called contract farms, in which a large food company contracts with a farmer to buy a certain amount of agriculture products at a specific price with specific qualities. On contract farms, the seeds, fertilizer, and pesticides may be provided by the food company, not by the farmer. The food company contracts with many different farms and needs to ensure that the quality on all of them is uniform. And so these large companies may be the ones buying the IoT systems for the farmers to use, he says. Ultimately, consumers may become one of the biggest engines driving the IoT agricultural revolution. Increasingly, people want to know much more about the food they’re buying. Was it sustainably farmed, and were the animals treated humanely? Is it truly organic? What kind of pesticides and fertilizers were used to produce it? How long was it stored before shipping, and how nutrient-rich is it? Keyes says this is where IoT comes in. An emerging area in this space is where gene editing technologies can be used in both human health analysis and new crop/food development. The potential in this area is significant, he adds. But Wolf and Keyes both believe the use of IoT in agriculture will grow quickly because the technology is readily available and the need is there. “In a world in which we need to produce more food, farmers want to meet sustainability and profit goals, and consumers have a desire for flavorful, nutritious, ethically produced food, IoT use in agriculture is an inevitability,” Wolf says. The world must produce 70 percent more food in 2050 than it did in 2006 to feed the growing population. Edge computing, where localized processing is done on the farm itself, will help lower costs, which is key in a margin-based industry. Ultimately, consumers may become one of the biggest engines driving the IoT agricultural revolution.